​Maybe batting ​Jason Heyward clean-up is a worthwhile proposition, after all? 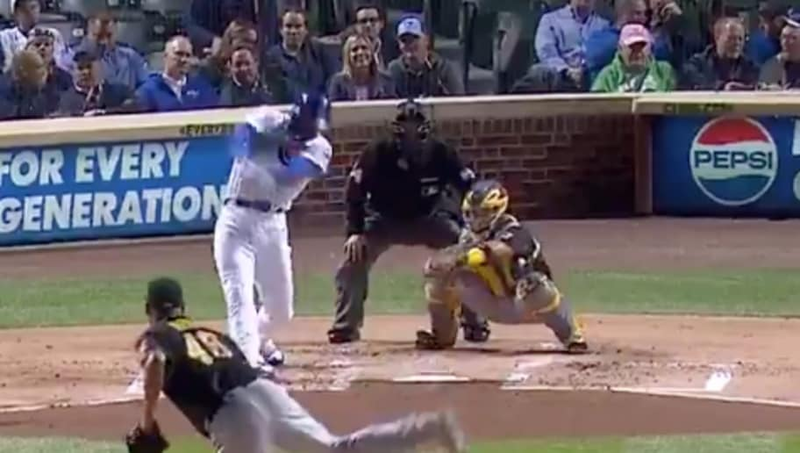 Cubs manager Joe Maddon is rolling with his controversial outfielder in the NO. 4 spot despite opposition from literally all angles. ​J-Hey made Maddon look awfully smart with this first-inning blast. Sorry, Pirates, but playing spoiler two games in a row at Wrigley is one tough feat, especially with Chicago in full desperation mode. The Cubs sit just a half-game over Milwaukee in the NL Central. A win tonight at Wrigley could give them some breathing room.